Sectional garage door panel offers the greatest degree of aesthetic adaptability. It comprises a number of large sections or panels that come in a wide range of designs and colors. 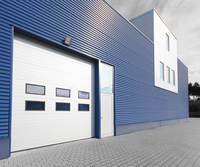 Sectional industrial door offers the greatest degree of aesthetic adaptability. It comprises a number of large sections or panels that come in a wide range of designs and colors. 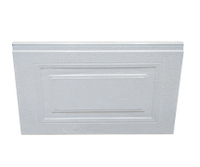 PU Cold Room Panels is composed of two galvanized stee sheets and rigid polyurethane foam in the middle. It has been widely used as the building material of cold storages, cool rooms, clean rooms, free-dust workshops and exterior walls in cold places. Polystyrene is self-extinguishing. 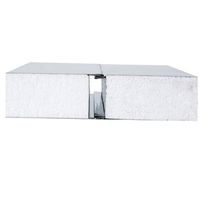 EPS Sandwich Panel has excellences of light weight(1/20-1/30 of concrete), heat insulation, rapid construction speed(operate withouthumidity and needn't repeated fitment). It is a new type protection structural material, congregates bearing, heat preservation and water resistance.  Factory Add: Weiwu Road, Chang'ge Industrial Park. Xuchang City, Henan Province, China.